Carolyn ’69 ’75 and Thomas Adair ’57 ’65 created a planned gift of retirement assets and designated the Texas A&M Foundation as beneficiary of their wills to ensure that 100 percent of their estate would benefit Texas A&M. While traveling with students in Italy nearly 20 years ago, Carolyn Adair ’69 ’75 discovered an overgrown olive tree grove badly in need of nurturing. Through a bit of coaxing and a labor of love, she and her husband Tom ’57 ’65 bought and transformed the grove into Amici Italian Imports, a company she owns that sells homemade olive oil. She chose the name “amici” because it means “friends” in Italian. 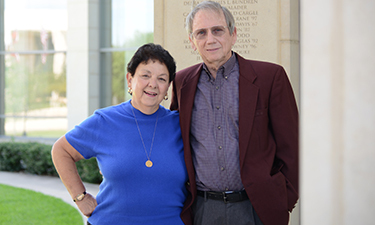 For decades, the couple has likewise changed the lives of Aggies for the better. Carolyn acted as an adviser and friend to students for more than 25 years as the director of student activities, while Tom still teaches physics—a discipline for which he has great passion, despite the circumstances under which he chose it. 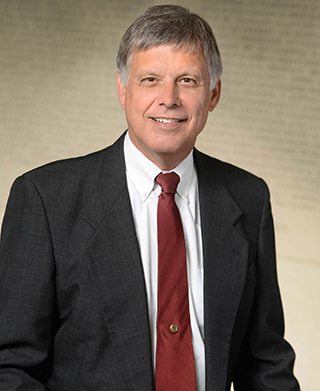 After completing degrees at Texas A&M University and Rice University, Tom worked in research for Humble Oil (later ExxonMobil) and served one year with the infantry in the U.S. Army. He later completed a doctorate in physics from Texas A&M, which jump-started his 50-year teaching career. Meanwhile, Carolyn completed her doctorate and was asked by John J. Koldus, Texas A&M’s legendary vice president of student services, to create and lead the university’s student activities department, which she continued to expand and improve over the years. “Working with Texas A&M students was the joy of my life,” Carolyn said. “I was inspired daily by their vision and commitment.” Though Tom continues to teach and also serves as the university’s faculty athletics representative, Carolyn now manages Amici Italian Imports. In 2015, the Adairs established a significant planned gift of retirement assets and designated the Texas A&M Foundation as beneficiary of their wills to ensure that 100 percent of their estate would benefit Texas A&M. Tom directed his portion of the gift to the Department of Physics and the Texas A&M Coaching Academy, while Carolyn chose to support student activities.